We are Sheridan and Kathy Williford. We live on a 136 acre ranch in south central Oklahoma centrally located between Dallas, Texas and Oklahoma City. We are not a kennel, we are Border collie enthusiasts whom love the breed. We first became interested in the breed in the early 90's while attending the Del Mar Fair in San Diego County while watching a herding exhibition. I was mesmerized watching those awesome dogs work their magic with the sheep! In 2000 we got our first rescue, a Border Collie mix named Randy. He was the smartest, most loyal, affectionate dog. He was so willing to please us any time we asked. Due to our love for Randy,our quest began to find a reputable breeder and bring another Border Collie into our home for both pet and show. That desire & search brought me to a beautiful website, Jule Too Border Collies and the rest as they say is history. We brought Ben and Matt into our hearts and home thanks to Lisa Schneider of Jule Too from Florence, Alabama. Sheridan drove 5 hour round trip to Oklahoma City once a week for 9 weeks to handling classes and our love of dog shows began. 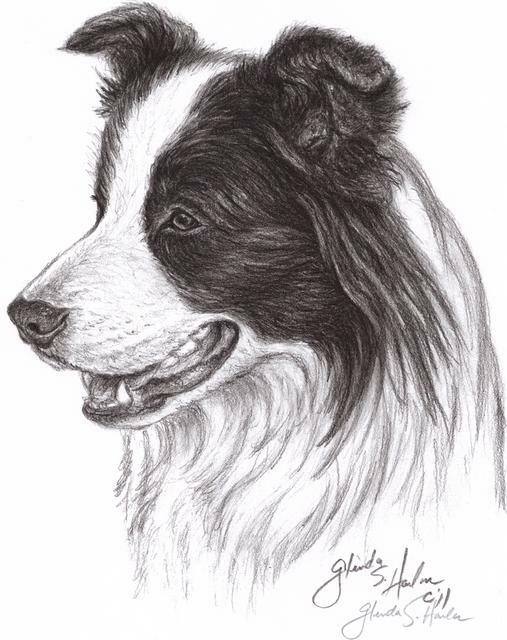 Along the way and through the years we have met some wonderful friends and had the pleasure of interacting with some of the most amazing Border Collies. Our dogs have acres upon acres to run and play on, three ponds to swim in and a few sheep and goats to hone that herding instinct. We play around with agility here at home, the dogs love it and it is great exercise for their humans. Our lives have literally gone to the dogs and we love it! We only breed on occasion; I am extremely proud of the accomplishments and love our extended Border collie families have shown our dogs they brought into their homes. We strive for health, temperament and soundness first, however, I believe our Border collies are versatile and can do it all. Our dogs come from the finest Australian and New Zealand lines. Thank you for stopping by, we hope you enjoy your visit here at Whistle-stop!